Anti-Zionist who praised terrorist murderer, hailed stone throwers as 'courageous' tapped to give commencement address at public NY college. 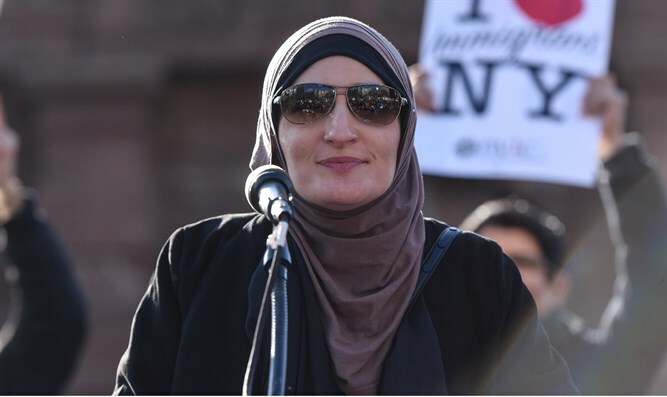 A radical left-wing activist and advocate for Sharia law in the United States has been selected as this year’s commencement speaker at a branch of the City University of New York. Linda Sarsour, 37, who helped organize the Women’s March in Washington in January and was arrested protesting outside of Trump Hotel in New York, was tapped by the City University of New York (CUNY) Graduate School of Public Health and Health Policy to address this year’s graduating class. An aide to the school’s dean confirmed in a statement that Sarsour had been chosen to speak at the commencement, The Daily Caller reported. “I am delighted to confirm that Linda Sarsour will indeed speak at our June 1 commencement at the Apollo Theater,” said Barbara Aaron, chief of staff to the school’s dean, Ayman El-Mohandes. Aside from her history of far-left activism, Sarsour has drawn criticism in the past for her advocacy of Sharia law in the United States and her attacks on prominent anti-Sharia figures. In 2011, Sarsour slammed Ayaan Hirsi Ali, a Somali-born activist and critic of radical Islam, writing in vulgar language on Twitter that Hirsi Ali deserved to be physically assaulted for her views. Sarsour is also an avowed anti-Zionist, having shared the stage with a terrorist murderer who killed two Jewish students in a supermarket bombing in Israel.